Well since Tuesday's turn of events I have been getting up each morning and getting myself ready as if I am going to work. I have to drive Amy to the bus at 7am anyway so I figure I might as well be dressed and ready for the day. I don't want to get into bad habits so I'm trying my best to stay motivated. 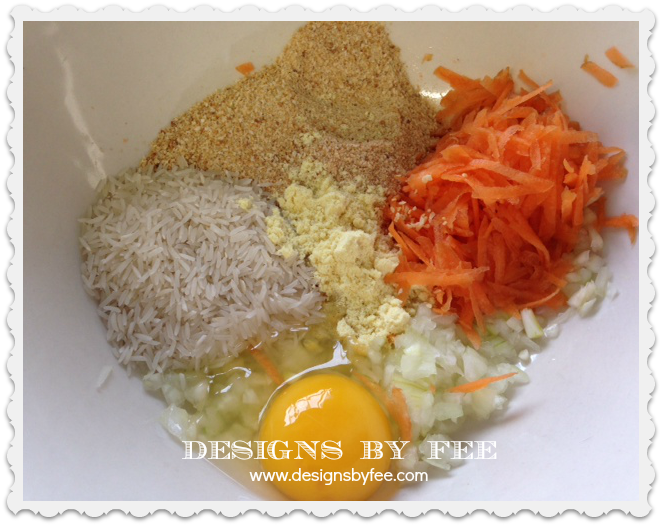 I'm also making an effort to economise and be frugal in the kitchen. I hope it lasts but today I whipped up a batch of meatballs in the slow cooker for dinner - They were delicious and a firm family favourite. I'll share the recipe and steps next week. I had a bit of a lazy day but did manage to delve into the scrap bin for this new project I am doing. I am a member of "The Fussy Cutters Club" on Facebook and we are doing a stitch-a-long to make Judy Newman's Dilly Bag towards the end of the month so I decided to get a head start. I am certainly going to be diving into that scrap basket a fair bit into the future I think. 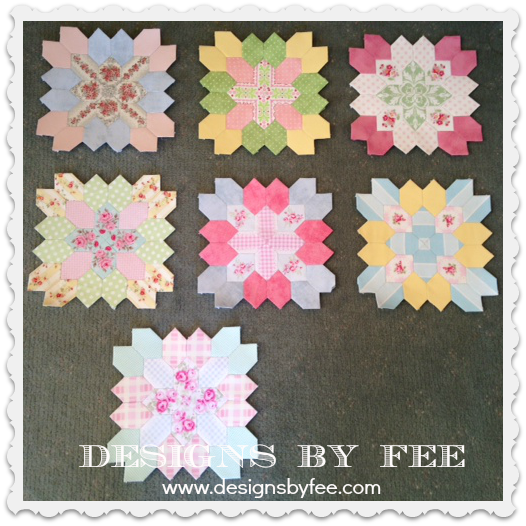 I have been plodding along with my Lucy Boston Blocks. 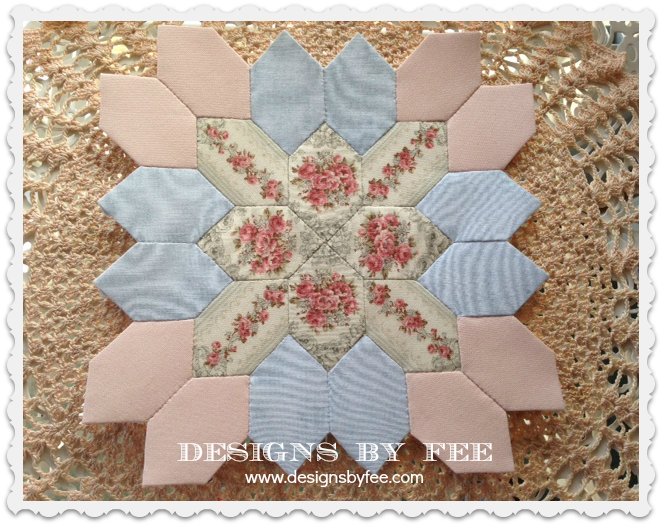 This is such a lovely project and so easy to do. I am finally getting to use up some of my treasured shabby fabrics. And some of my leftovers. 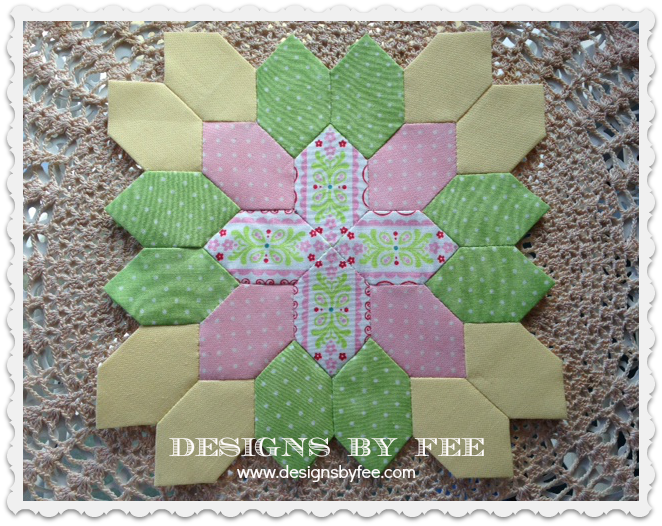 I look at this block and the centre fabric which I have used in other projects instantly reminds me of them. Here are all 7 of my blocks together. I think I will do 36 for a 6 Block X 6 Block Quilt. 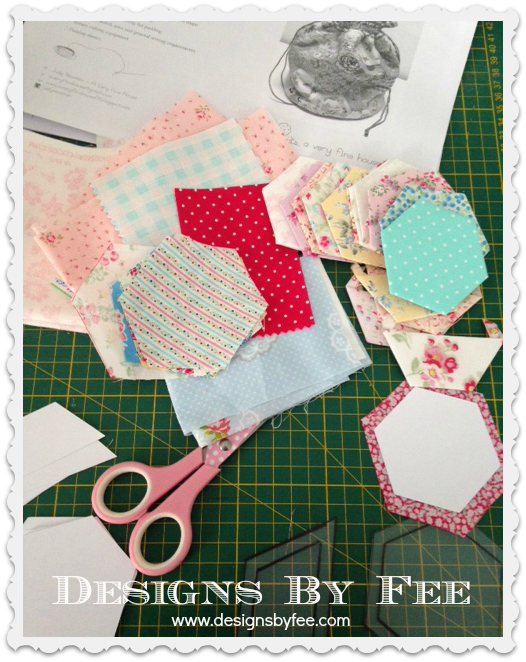 If you want to try your hand at Lucy Boston Blocks I have the papers over in my STORE. They are super easy to do. Well I had best be off I plan to get into the garden today and plant some seedlings. Stuck in bed today with an MS relapse unfortunately, but taking the opportunity to catch up on some of the blogs I follow. Those blocks are soooooo beautiful - just so soft and feminine. Your work so inspires and uplifts me. Can't wait to see your final project with them. Have a wonderful week full of creating and inspiration. I LOVE your Lucy Boston blocks. I've been so-so about this design, but your colors are wonderful. My grandmother used to say almost the same thing, begin as you mean to go on. And we're a world apart! I guess wisdom is wisdom, eh?